February 24, 2017, Bethany, Conn. — LATICRETE, a manufacturer of globally-proven construction solutions for the building industry, has promoted Lori Carriello to Associate Director, strengthening its Strategic Account Group. In her new role, Carriello will be assisting with growth initiatives and enhancement of the Strategic Account Group’s success, including specialist training, hiring and 4DX implementation. “Lori has been a reliable and trusted source since joining LATICRETE, and I’m confident she will continue to succeed in her new, and very well-deserved, position as Associate Director,” said Susan Dolata, Strategic Account Group Director. The Strategic Account Group team focuses on national accounts and accounts across a wide-range of industry verticals, including retail, hospitality, medical and food service industries. 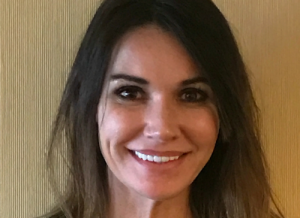 Carriello began her career at LATICRETE in 2015 as a Distributor Sales Representative within the Tile & Stone Installation and Care Systems business unit. Prior to joining LATICRETE, Carriello was an independent representative for several flooring industry manufacturers.